I love how versatile food can be. Seriously, real food can be so, so simple, but it can also be used for a never-ending variety of meals. I’ve recently discovered how versatile spaghetti squash can be. 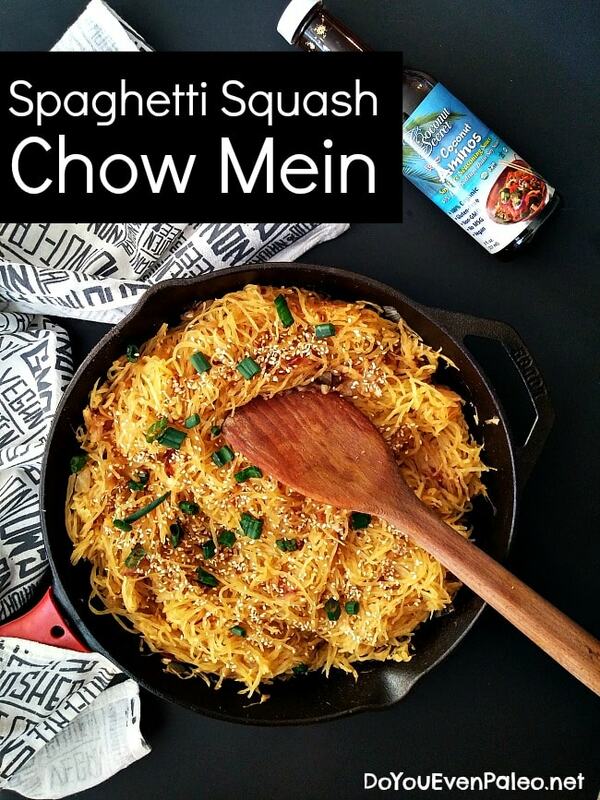 Case in point: Spaghetti Squash Chow Mein. This recipe makes a lot of food, which is always awesome because then you get to use the leftovers. And let me tell ya, the leftovers are almost better than the original recipe. Don’t you just love when food tastes better the second time around?! Obviously, this would pair extremely well with my Eggroll in a Bowl, and that makes an equally epic amount of food. So you know how I said I would be posting more non-food stuff around here? I’m trying, I really am. I’ve been putting together a running list of post ideas and stuff I’d like to write about…I just always freeze when it comes around to writing. I’m going to be trying a new method to get myself in the habit of writing often. I’ll schedule an hour a day for writing. I’ll write that entire hour, even if I don’t feel like it. I’ll do my best not to edit what I write (one of my biggest weaknesses in writing is trying to get it perfect before the words have left my brain). Editing will come later. I’m hoping that writing daily well help me find a rhythm. On the plus side, the newsletter seems to be going pretty dang well! Get on that if you haven’t yet. Back to the food (which is probably why you’re really here). Luckily, I seem to have a much easier time coming up with recipes. This recipe is pretty easy, like most of my recipes. I use a huge cast iron pan, so if you don’t have a big 12-incher you might want to make this in batches. Man, that sounded dirty. But dang, “easy” just means damn delicious sometimes most of the time. You’ll be so happy there’s oodles of leftovers. Or you’ll just eat it all in one sitting. Hey, no one’s judging. Eat whatever you want! Prepare spaghetti squash by preheating oven to 350 degrees. Pierce with a fork in a few places around the squash, set on a baking sheet, and stick the entire squash in the oven for 40-50 minutes or until the skin easily gives way to a fork or knife. Remove from the oven, let cool for a while, then slice open and remove seeds. Finally, scoop out the stringy flesh. Set aside. In a small bowl, whisk together coconut aminos, fish sauce, garlic, ginger and pepper. Set aside. Heat the coconut oil in a large skillet over medium heat. Add the onion and cook, stirring often, until soft and translucent. Add the spaghetti squash and sauce. Stir to combine. Cook for an additional 2 minutes or until heated through. Garnish with toasted sesame seeds, sesame oil, or green onions. Serve immediately! 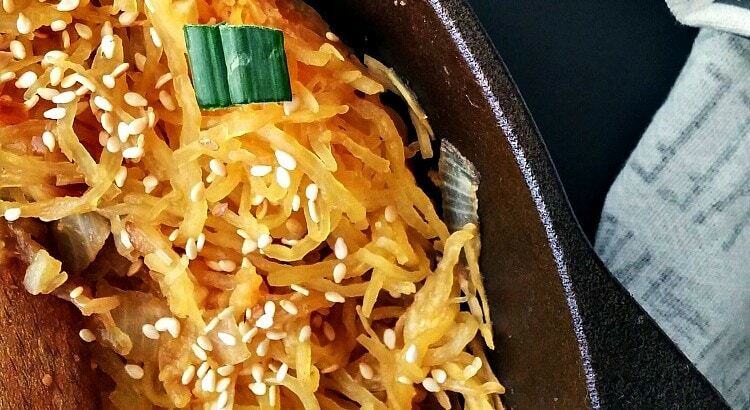 I’d love to include your spaghetti squash chow mein recipe in a spaghetti squash roundup I’m doing for Parade Magazine this month. 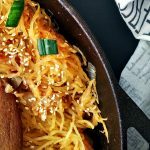 If you’re fine with that, could I use one of your photos with a link back to your original post (https://www.doyouevenpaleo.net/spaghetti-squash-chow-mein/)? felicia, I would definitely be down with that. I’m honored that you want to include my recipe! 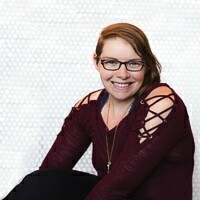 Please let me know when it’s live so I can share the roundup! Don't subscribe All Replies to my comments Notify me of followup comments via e-mail. 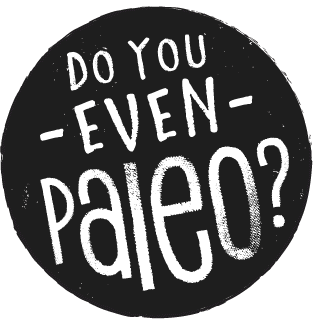 You can also <a href='https://www.doyouevenpaleo.net/comment-subscriptions/?srp=550&srk=87505361eee98908ddf6ccb8681f50d6&sra=s&srsrc=f'>subscribe</a> without commenting.